After Highly Radioactive Beef Was Detected Over A Week Ago, The Shipped All Over The Country And Sold In Supermarkets All Over The Country, Japan Finally Issues A Ban On Radioactive Fukushima Beef. As I previously reported, beef in Japan has been detected with high levels of radioactivity. 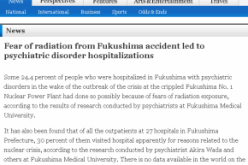 But that didn’t stop Japanese officials from lying to the public about the threats of the radiation risks and continuing their mind control campaigns to control the masses, such as forcing school children to clean radioactive dirt from swimming pools and telling the public if they keep smiling radiation will not affect them. Even after it made international news headlines that companies had detected high levels of radiation in their beef the government pretended like nothing was happening and allow radioactive beef to be shipped all over the nation and sold to unsuspecting consumers on store shelves. Apparently, the government didn’t think the public would find out. Finally after radiation was in beef on store shelves hundreds of miles away and consumers have eaten it all week, Japan has issued a belated order to ban the sale of all Fukushima beef. Japan has imposed a ban on all beef coming from Fukushima, the prefecture where three nuclear reactors melted down following the March 11 magnitude 9.0 earthquake and tsunami. And, the government is also apologizing for its delayed response to radioactive meat reaching the market. The Japanese government has belatedly banned beef from Fukushima prefecture, a week after meat with excessive levels of radioactive cesium was distributed to stores across much of the country. Chief Cabinet SecretaryYukio Edano says officials are still attempting to ascertain the extent of the sale of the contaminated meat. Edano says that some beef cattle outside Fukushima prefecture were also fed rice straw with high levels of radioactive cesium. He says the government is working with surrounding communities and the Agriculture Ministry to track all such meat that was distributed. This is the latest embarrassing incident for the government of Prime Minister Naoto Kan which has struggled to cope with one of Japan’s worst-ever disasters. More than 20,000 people died in the March 11 earthquake and tsunami. 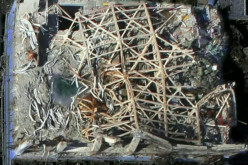 It also severely damaged the Fukushima-1 nuclear power plant where reactors suffered meltdowns. That prompted evacuations of numerous villages in Fukushima prefecture, a primarily agricultural area, where crops were irradiated. Kan apologized on Tuesday for the beef incident and said he is extremely sorry he was not able to prevent it from happening. Top government spokesman Edano acknowledges Japan did not act quickly enough after the first cases of contaminated beef were reported. Edano says the government did not fully inform the public and cattle farmers, causing them deep anxiety. He says, for that, the government is deeply sorry. Edano adds that cattle farmers will be compensated for their losses as a result of the ban. Authorities say more than 600 cows ate contaminated straw. They say the feed consumed by the animals measured up to 500 times the national safety limit for radioactive cesium. 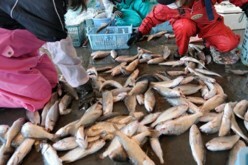 But Japan’s health ministry insists that the radioactive meat that was consumed by people does not pose a risk to them. As the article clearly points out, officials are still lying to the public say there is no health risk for those who consumed the radioactive beef. Even worse, while beef from Fukushima has been banned they pretend like other livestock and food grown in the area is entirely unaffected and that areas outside of Fukushima prefecture are safe as well..
Is the public seriously supposed to believe that only a handful of cows were affected from eating a stray batch of radioactive straw? Given the extremely high levels of radiation detected in the beef, the explanation of a stray batch of radioactive straw holds little water in my book. If there is a time to be honest with the public it is now, before the damage is done and the full risks can be mitigated. 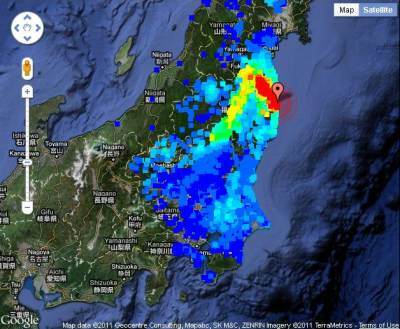 It is clear that there extremely high levels of radiation all over Japan, and in areas well beyond the Fukushima evacuation zone. Official Government Radiation Readings In Japan – Radiation dose measured by MEXT and local governments at 1 or 0.5 meter height. In fact, soil 135 miles away on the outskirts of Tokyo has just recently measured over 50,000 bq per kg of cesium radiation. The radiation is so bad that we are still seeing abnormal spikes of radiation in California and even dangerous levels of radiation being detected in Canada rainwater in multiple locations. 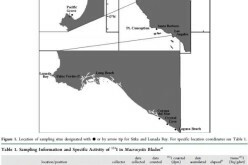 That does not mean good news for the people of Japan who are thousands of miles away on the other side of the Pacific. That also would imply that the soil and rainwater in Japan are highly contaminated and so are the plants being grown there and being feed to humans and livestock.